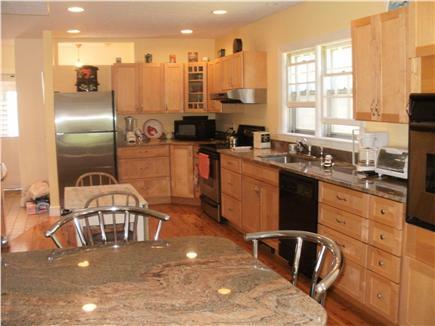 Fully equipped kitchen stainless appliances granite counter tops. Second family room with a pull out queen sofa for extra guests. 1st floor Bedroom w/1 Double & 1 Twin, Bathroom adjacent. Enjoy beautiful Sandy Neck Beach and explore the trails & dunes. 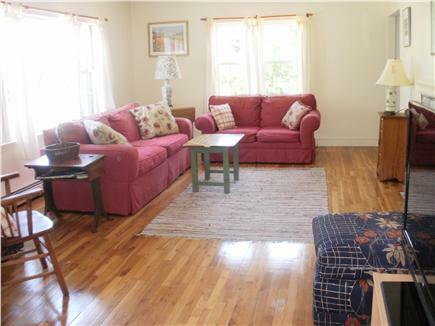 Welcome to our sunny and spacious Cape Cod home. Sandy Neck Beach has been included in The Boston Globe's 20 Best New England Beaches 2018. We are one minute by car or an easy walk by the dunes to the beach. Please read the reviews of our home. On the first floor there is a PRIVATE BEDROOM with ADJACENT BATH (shower and 2 sinks). 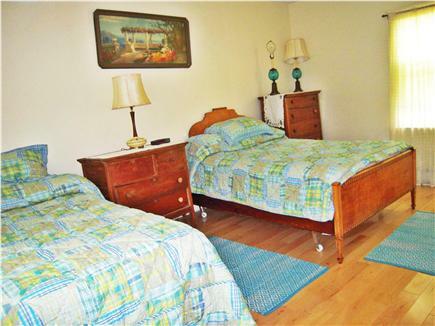 The bedroom has 1 Double and 1 Twin bed. Grandparents often stay in this room. There is also a FAMILY ROOM with a Beautyrest Queen sofa. The 30' GRANITE and STAINLESS STEEL KITCHEN comes with 2 ovens and lobster pot. 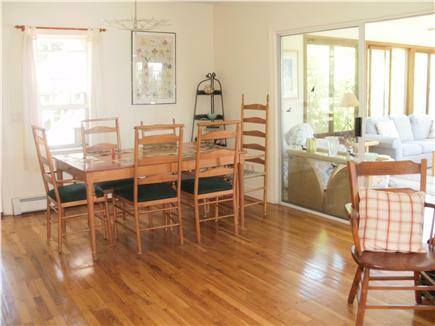 The open floor plan continues into a very LARGE LIVING ROOM with a DINING AREA at the kitchen end. Here is our FLAT SCREEN CABLE T.V., WI-FI, 2 sofas etc. 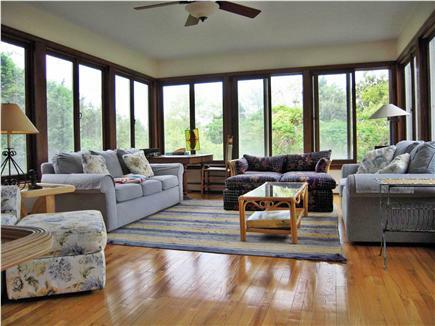 Relax in the large SUNROOM with puzzle table and lots of space for reading, games and hanging out. Walk onto the DECK and you are ready to grill your dinner or just sit and enjoy the breeze. The second floor includes the MASTER BEDROOM with private copper fixtures bathroom. There is a Queen Bed and Walk-in Closet in this room. 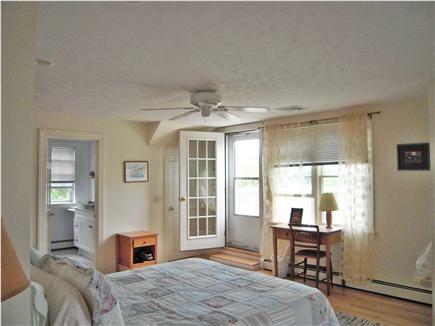 Check out the lovely VIEW of Cape Cod Bay from our Master bedroom DECK. Across the hall is a 3rd FULL BATH with shower and tub.The 3rd BEDROOM has 2 Twins and 1 Double bed. 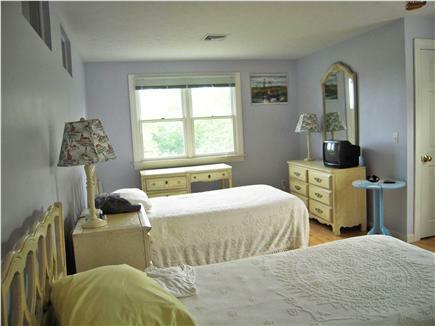 Both bedrooms are spacious and have VIEWS of CAPE COD BAY. Heatwave? No problem. Keep cool with CENTRAL AC. Additional pricing info: No cleaning fee. Refundable security deposit, State and local taxes of 12.45% will apply. We had a wonderful time in this beautiful, clean, very spacious home just a short walk or bike trails to gorgeous Sandy Neck Beach. I love Sandwich too. So quaint and pretty with lots to do. We went to cafes, thrift shops, the farmers market, and had the best burger on Main Street. The house has everything you could ever need while you’re away. The owners and the rental agent were both lovely to deal with. I will rent again there for sure! Last August our family rented this lovely, spacious home for a week to relax and explore Cape Cod. 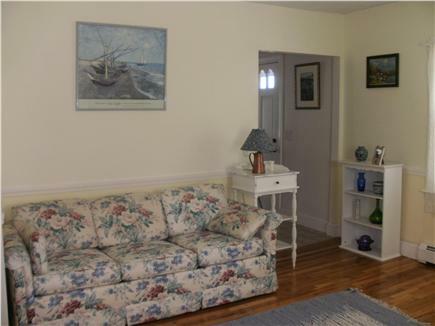 The home is conveniently located, only a short walk to gorgeous Sandy Neck Beach. All the conveniences you could want are provided. Owners are very accommodating. Loved it and will certainly return! This home has lots of indoor/outdoor space (two decks), nice furnishings, and welcoming touches (cut flowers left on the dining room table). The nearby beach is beautiful and not crowded. Perfect base for walks to the beach and day trips to other communities. We loved our visit and would definitely try to come back again! Carol Warren has been our agent since we bought this house. She is available to answer any questions. We have owned a home in East Sandwich for over 40 years. We have rented out this one for 11. Our family loves the beach and dunes at Sandy Neck and hope you will also. Our background is in science, art and teaching. My husband loves to surf fish and nearby Scorton Creek is one of the best spots on the Cape. It is also great for kayaking. The house is private, spacious and sunny. 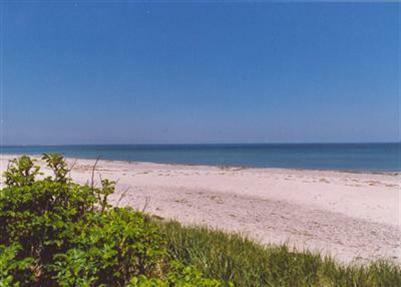 It is 1 car minute away from one of the prettiest beaches on the Cape. The sunsets at Sandy Neck are beautiful. This beach has been used many times for wedding pictures. Sandwich is the oldest town on Cape Cod (1630) , very beautiful, full of history. It is not crowded with condos and traffic jams. It is a stop on the Cape Cod Railway.. It has restaurants, antiques, gift shops, museums, farm stands, movies, rental bikes, horseback riding, .tennis courts, golf, and much more(4 ice cream stands). Hyannis is only 10 minutes from our home if you need malls, traffic, a hospital, etc.